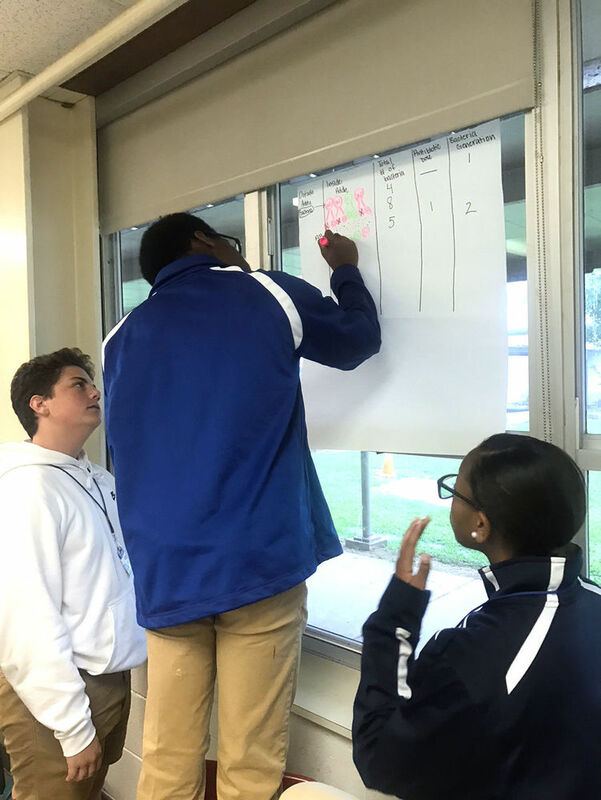 Students in Samantha Williams' biology class at West Feliciana High School have been studying antibiotic-resistant bacteria through a case study of a sick child. Using what they have learned so far this semester, they were able to chart the evolution of antibiotic resistance when bacteria are constantly exposed to antibiotics, a news release said. Troy Falgout, Jaheim Butler and Aliyah Armstrong use a case study to chart the development of antibiotic resistance.